Chris Brown was booked and released on a felony charge of assault with a deadly weapon on Tuesday, after former Miss California contestant Baylee Curran claimed the singer threatened her with a gun at his home in Tarzana, California on Monday night. Brown was arrested just before 1 p.m. local time on Tuesday after police procured a search warrant for his home. He was interview at the LAPD Robbery Homicide Division before being booked at the Metropolitan Detention Center and released just after 11 p.m. after posting $250,000 bail. "Thanks to everyone for their support and well wishes. 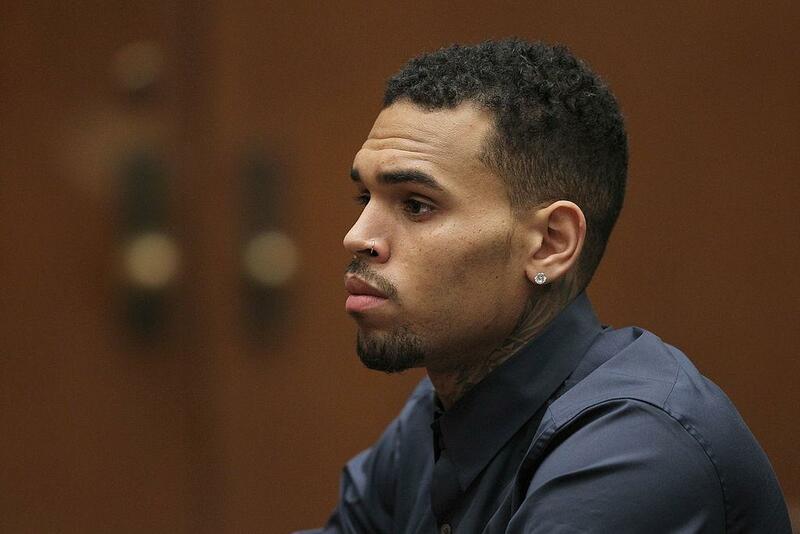 Chris is out and well," Brown's lawyer, Mark Geragos, tweeted. "The allegations against him are demonstrably false #TeamBreezy." Brown, who claims he was asleep while the alleged incident happened, took to Instagram before his arrest on Tuesday to reject the woman's claims and deny any wrongdoing in a series of videos. "So, I'm asleep half the damn night, I just wake up, all these mother**king helicopter choppers are around," he says in the first video. "The police out there, at the gate. Come on, what the f**k else do y'all want from me, bro? I stay out of the way, take care of my daughter. Do work." "I'm way too tired to be dealing with this bulls**t," he continues. "Every three months y'all come up with something, bro. What is it? What's gonna be next? ... I'm innocent, f**k everybody. I'm tired of hearing this s**t."